Proud to be one of a select few companies to have taken part in every single edition of the event since its launching in 1961, MisuraEmme prepares to take part in the 58th Salone del Mobile.Milano with the Rialto table, designed by CR&S MisuraEmme. 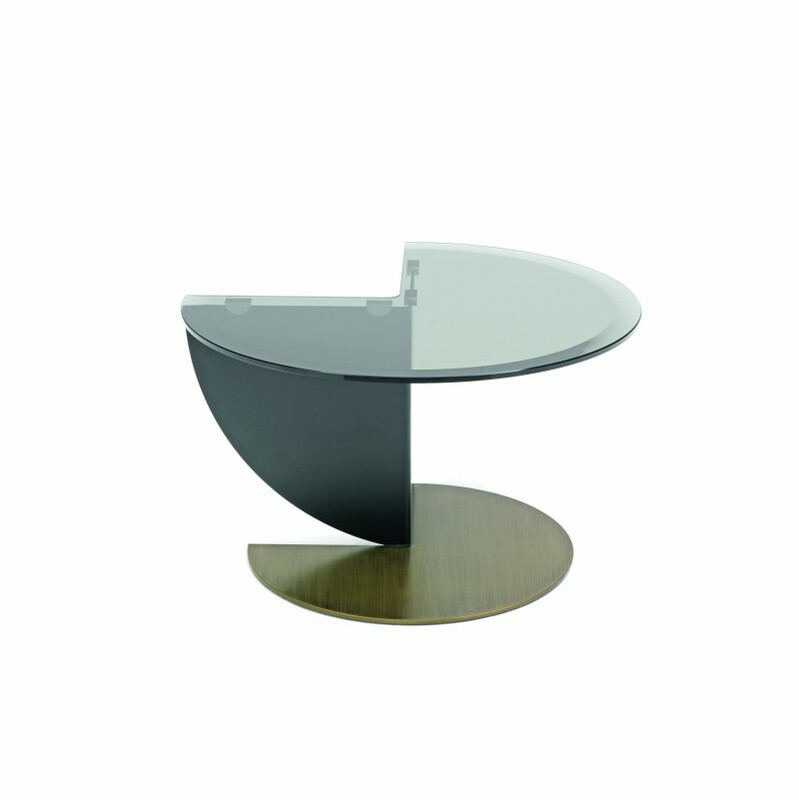 The original structure - two round tops with an open angle slice, connected by a geometric base - allows it to fulfil a double function within domestic spaces. Individually, as an unexpected and whimsical touch, or as a discreet accessory to be placed next to upholstered furniture, ottomans and beds. Aesthetics and functionality merge and complete the new proposal of refined workmanship. 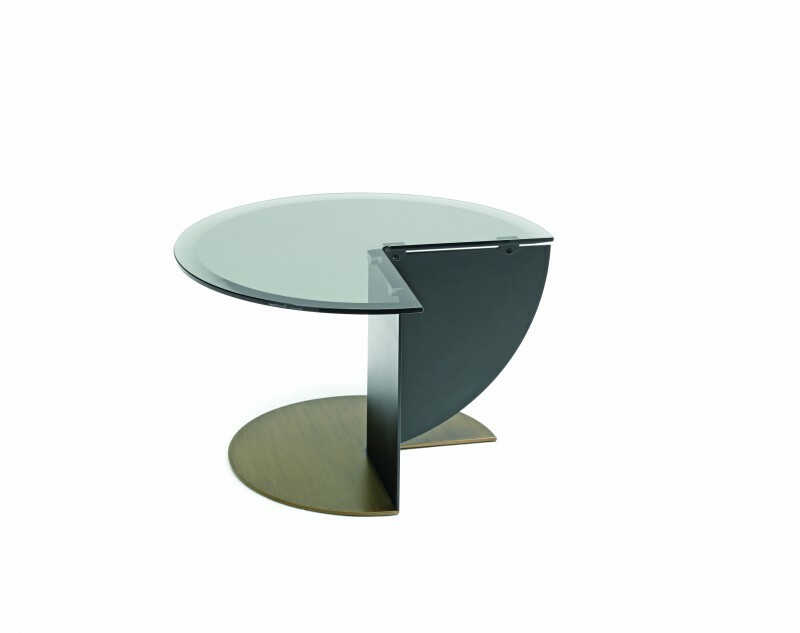 Rialto is completed by the base in two-tone painted brass and black, and a bevelled glass top 12mm thick. 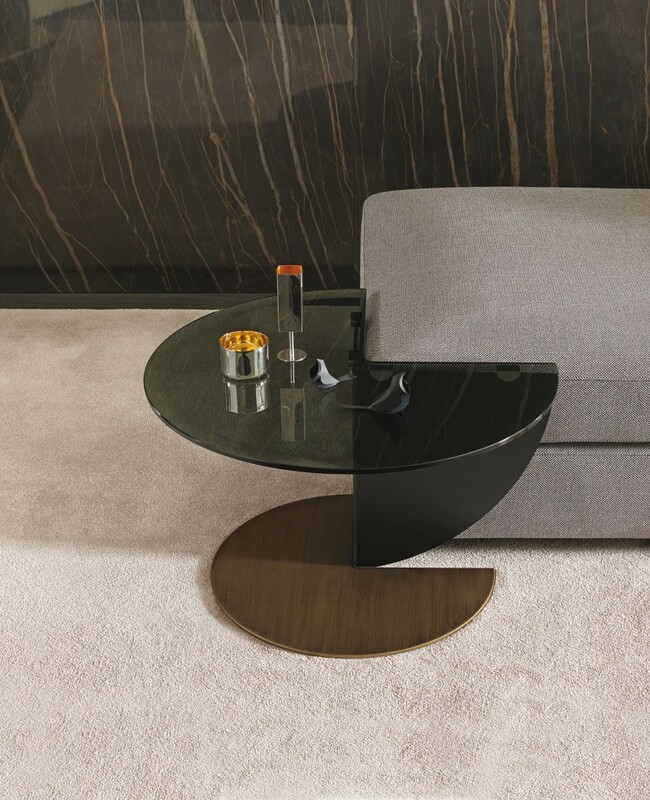 Once again, the Como-based company, famous for its production of bespoke furnishing solutions characterised by infinite compositional possibilities, chooses one of the most successful sector events in the world, to present in a renovated exhibition space both classics and contemporary living solutions.